Hong Kong is not exactly known for being cheap. The former British colony, perched on the shore of the South China Sea, frequently graces ‘most expensive cities in the world’ lists for its sky-high rents, acres of posh shopping malls, and dazzling displays of wealth (think Rolex shops on every other corner, women clutching Prada bags as they hail taxis, lapdogs in bejewelled collars). But despite its glitz, the city still has plenty of bargains – provided you know how to find them. In general, Hong Kong Island itself is the most expensive part of town, while the Kowloon Peninsula across the harbour and the adjoining New Territories are gentler on the wallet. The home to dim sum, brisket noodles, huge fluffy pork buns and other delights, Hong Kong abounds in budget eats. Wherever you go, the city has hole-in-the-wall restaurants with lines snaking out the door. Unlike many Asian cities, Hong Kong does not have a huge street food presence these days. But just because you can’t see it doesn’t mean it’s not there – former street vendors now hawk their bowls of noodles, dumplings and braised chicken feet inside public ‘cooked food centres’. The unadorned concrete-and-tile design of these buildings can look a little forbidding, but they generally have produce, meat and fish markets on their bottom floors, and cooked food on the top. When it comes to free things, you can’t beat nature. Those who haven’t visited Hong Kong before are often shocked by how green the city is. Sure, downtown and Kowloon are snarled masses of concrete and glass high-rises. But some 60% of the city is preserved green space, and you don’t have to go far to find it. The city is famed for its hiking, with hundreds of kilometres of well-marked trails. The Dragon’s Back Trail, one of Hong Kong’s most glorious hikes, traverses Hong Kong Island, following the ridgeline south, offering panoramic sea views. It ends in the village of Shek-O, where tired ramblers can chow down on cheap noodles and watch the waves slap the rocks. On Wednesdays, many of the city’s museums are free. The Hong Kong Museum of Art is one of the best, with a comprehensive collection of Chinese pottery, calligraphy scrolls and paintings. From the museum’s Kowloon location, take advantage of another one of Hong Kong’s best freebies – the ‘Avenue of the Stars’, a seaside promenade which offers cheesy tributes to local film heroes, but whose real star quality is its gleaming view of the Hong Kong Island skyline. Every night at 8pm, crowds gather here for the (free) ‘Symphony of Lights’, a music-and-light show illuminating the skyscrapers across the water. It’s silly and slightly bizarre, but good fun. Come bedtime, budget backpackers worth their salt should brave the infamous Chungking Mansions. This 17-story behemoth on Kowloon Peninsula’s teeming Tsim Sha Tsui district attracts people of such varied ethnicities, languages and clothing styles it’s earned comparisons to Star Wars’ riotous Mos Eisley cantina. On the ground floor, African and South Asian vendors hawk samosas and grey-market cell phones, while the higher floors are a concrete warren of restaurants, apartments, beauty parlours and budget guesthouses. Chungking House (www.chungkinghouse.com) is a longstanding favourite, with double rooms going for about HK$275. Reasonably-priced guesthouses abound in the Yau Ma Tei and Mong Kong districts of Kowloon. Try Booth Lodge (www.salvationarmy.org.hk) a simple-but-clean spot run by the Salvation Army. A double will run you HK$1200. If you’re yearning for some souvenirs, Hong Kong’s kitschy-cool street markets are chockablock with lucky cat statues, fake jade jewelry, vintage reproduction cigarette ads, fake designer handbags and more. The Temple Street Night Market and the Ladies Market in Kowloon are perennial favorites, as is Cat Street on Hong Kong Island. Bargaining is both acceptable and expected. If you’re not happy with the price, try saying this: tai gwai la (Cantonese for 'it’s too expensive!'). When parents tell me they're going to Europe and ask me where to take their kids, I'm sometimes tempted to answer, "To Grandma and Grandpa's on your way to the airport." It's easy to make the case against taking the kids along. A European vacation with kids in tow is much more about playgrounds and petting zoos than about museums and churches. And traveling with kids can be expensive. Out of exhaustion and frustration, you may opt for pricey conveniences like taxis and any restaurant with a child-friendly menu. Two adults with kids can end up spending twice as much to experience about half the magic of Europe. 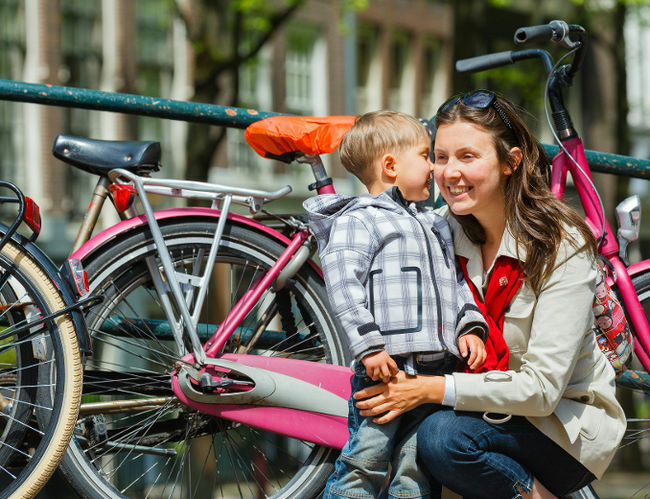 But traveling with kids, you'll live more like Europeans and less like tourists. Your children are like ambassadors, opening doors to new experiences and countless conversations. With kids, you'll be forced to discard your tourist armor and become a temporary European — as a parent. Some of my best travel memories wouldn't have happened without my kids. Because my son was in the car, I once detoured to watch a "Petit League" baseball tournament in southern France — and debated ball and strike calls behind home plate with a pan-European bunch of parents. I'm no horseman, but because my daughter had her heart set on it, I've trotted along leafy bridle paths in the Cotswolds (next time I'll wear long pants). Let the kid in you set the itinerary, and everyone will have a good time. Somehow even the big-ticket family attractions — the kind I normally avoid — have more appeal in Europe. Europe's Disneyland, outside Paris, has all the familiar rides and characters. But Mickey Mouse speaks French, and you can buy wine with your lunch. My kids went ducky for it. With upward of 15 million visitors a year, Disneyland Paris has become the Continent's single leading tourist destination. Also a hit, but on a more Danish scale, is Legoland, a fun sight for kids (lots of them blond) and their parents. Sixty million of the plastic bricks are arranged into extraordinarily detailed depictions of such wonders as Mount Rushmore, the Parthenon, and "Mad" King Ludwig's castle. Anyone who has ever picked up or stepped on a Lego will marvel at these meticulous representations. Nostalgic parents and their children enjoy Tivoli Gardens in Copenhagen, which recently celebrated its 150th birthday. This 20-acre park is happily and simply Danish, without commercial glitz. You pay one admission price and find yourself lost in a genteel Hans Christian Andersen wonderland of rides, restaurants, games, marching bands, roulette wheels, and funny mirrors. Certain European cities seem built for kids. London eliminates the language barrier, and has some of the best museums for children — the Natural History Museum (dinosaur bones), Victoria and Albert Museum of Childhood (toys, doll houses, and games going back to the 1600s), and Science Museum (hands-on fun). Hyde Park, London's backyard, is the perfect place for kids to play, ride bikes, and run free. My kids enjoyed the pirate-themed playground. Barcelona bubbles with inexpensive, quirky sights and an infectious human spirit. There's a fun, hill-capping amusement park, "magic" fountains that put on a free light-and-sound spectacle most summer nights, a chocolate museum (no explanation needed), and one of Europe's best urban beach scenes. Venice doesn't need an amusement park — it is one big fantasy world. It's safe and like nothing else your kids have ever seen. Riding a vaporetto across the lagoon to the Lido, Venice's beach island, is nearly as fun as the beach itself. Another canal-lined city, Amsterdam, has a special charm for kids. Its electric trams are an enjoyable ride, as are the boats that tour the canals. At NEMO, the kid-friendly science museum, it's forbidden not to touch. Older kids will want to make a pilgrimage to the house where Anne Frank wrote her famous diary. Whichever city you are in, take advantage of the legacy of Europe's royal past: spacious parks and an abundance of castles. Give in to your inner toy soldier and line up with your kids for the changing of the guard at Prague's Castle or London's Buckingham Palace. Take a picnic break in Berlin's sprawling Tiergarten Park, once a royal hunting ground. Vienna's formerly royal Prater Park tempts young and old with its sprawling amusement park, huge red Ferris wheel, and miles of green space. Because my parents imported pianos from Germany, our family travelled there when I was a kid, during my "wonder years" — when travel experiences fed and shaped my core values about the world and my place in it. If you can afford it, do the same for your kids. Getting your children comfortable in the wider world is great parenting. Johannesburg- Insight Vacations has released its 2014 Exotics Collection brochure featuring a range of new premium escorted journeys, a brand-new destination, stopovers in the Middle East and a wonderful range of signature hotels, dining and experiences. Bhutan, the Dragon Kingdom, is a new destination for Insight Vacations this year. This real-life Shangri-La will offer exceptional natural beauty, magnificent fortresses that command the hilltops and prayer flags that flutter in the breeze. The citizens all wear national dress, and the country measures its wealth in “gross national happiness”. Equitable social development, cultural preservation, conservation and good governance are the cornerstones and this truly special destination will touch your soul. With travel to India about to become easier with new visa regulations and Indian carriers looking to expand into Africa, Insight Vacations has increased the number of itineraries to this mystical country. The 11-day Colours of Rajasthan itinerary will see guests enjoying a game safari with an expert naturalist in Ranthambhore National Park. Guests will visit Delhi, Agra, Ranthambhore, Jaipur, Jodhpur and Udaipur. The 11-day Mystical South India takes in the unforgettable Kerala and Tamil Nadu provinces with visits to some of the oldest and most celebrated Hindu temples in India. Join an expert naturalist for a cruise through the waterways of the Periyar Wildlife Sanctuary. Guests will visit Kochi, Thekkady, Maduai, Trichy, Pondicherry and Chennai. The Exotic Collection’s Signature Experiences include game safaris in search of the Royal Bengal Tiger, Bhutanese cooking classes, and a guided tour of Bhutan’s only commercial cheese factory. Guests stay at hand-selected Signature Hotels, with highlights like the Taj Lake Palace Hotel and Bangalore’s opulent Leela Palace. 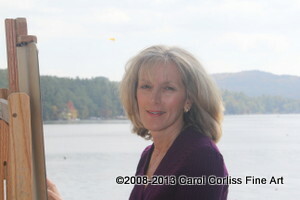 Spofford, NH artist Carol Corliss ' love of nature combined with the beauty of our natural surrounding is a constant inspiration for her pastel paintings. "I love to paint, because I paint what I love"
My wife and I had just left the Musee D'Orsay when a young woman came running up to us clutching a ring. The pretty brunette spoke in halting English, saying she saw it drop to the ground as we walked by. After a quick scan of our fingers, we told her we weren't missing any rings, but she placed the ring in my hand and insisted we take it for friendship. Before my heart could swell with the joy of international love and brotherhood, she then asked for money for a cup of coffee. At that point, I realized it was a scam and handed her back the ring, which she no doubt tried to foist onto another hapless tourist couple. Leave fancy jewelry or expensive watches at home. Don't flash expensive electronic equipment –- particularly iPhones, thieves love them –- around. Have the number for the local police department saved in your phone. Keep your passport and other important documents in the hotel safe, after you've scanned or photographed them and saved them in a file-sharing app or program like Evernote or Dropbox. These tips are mostly for those of us who don't (or can't) travel Business or First Class. But even so, there are many general tips that will help anyone have smoother travels by air. Do not wear a belt. Yes, you have to take it off for security, so just skip the hassle. Wear shoes that don't require a lot of work. You have to remove them and put them back on for security, so keep them easy. No knee-high boots, no complicated lacings, etc. Take everything out of your pockets beforehand. Everything! Put items from your pocket into your carry-on outside pocket so you don't have to fill your pockets while others are trying to get through security as well. Take your jackets and sweaters off. These will go through x-ray, so be ready. Be ready! Usually it's the person in line who's not ready beforehand that causes the line to slow down. Multiply that buy everyone who wants to get on a plane, and you've got a traffic jam. Don't be one of those people. If you lock your luggage, unlock them BEFORE security asks you to do so. Use TSA approved locks so security doesn't have to cut your locks off. The lock's packaging will state whether they're TSA approved and can be purchased at the airport or travel stores. Remove previous flight tags and stickers from your luggage to prevent confusion. All claims about missing or damaged luggage should be made at the airport, before you leave. Take off your shoes. This can relax your body during flight and help the swelling that may occur at such altitudes. Walk around in those warm socks we talked about, or just pack a pair of small slippers in your carry-on. Thankfully, no one on the flight cares what you look like, so dress comfortably! Wear looser garments like sweatpants or a comfortable pair of jeans. Use button or zip-up jackets or sweaters. Wear a warm pair of socks as temperatures can drop while in flight. Don't wear a top that causes you to constantly fidget. Depending on the climate of your destination, you can layer, or keep that outfit on the very top of your luggage so you can change in the airport's restrooms. If you MUST wear a suit on the flight, choose your most comfortable, pack the jacket and shoes in your garment bag, and tie the tie later. Carry tissues! Even some handy wet wipes. Many people swear by such things as Airborne - in any case, take extra care of your health and hygiene to prevent jet lag and illness. Wash your hands and keep them away from your face as much as possible. Protect your fellow travelers too; cough and sneeze into your handkerchief or arm, not your hand - or worse yet, into the air! On shorter flights, you can wear a protective mask if you're really worried about the passenger behind you that may sound like he's coughing up a lung. If there's a more comfortable seat open, ask the flight attendant if you can sit there. Recirculating air not only increases your chances of getting sick, but it dries out your nose and skin. Carry a small bottle of hand lotion and some lip balm. Also, try breathing your nose into a hot towelette that the airline may give you - this can help relieve your airway. For long flights, we would highly recommend investing in a neck rest. Carry a soft one, or pack an inflatable version in your bag. The soft ones are more comfortable, but aren't space-friendly. Eye masks are handy too if the airline doesn't give you a pair. 1.Leave valuables at home! Not in your purse or car. In some areas, don't even leave it in the hotel room. 2.Use a money belt. These are small, zippered pouches that either attach around your waist or onto your pants' belt loop. It sits inside your pants and is not to be pulled out for every purchase. Place into it important documents - passports, cash, plane tickets, ID, etc. Prevent body moisture from messing up your papers by putting them in a little plastic baggy. 3.Carry only a daily amount of spending cash in your front pockets. If you're carrying a purse, use one that zips completely closed and straps diagonally across your chest. If you don't have one for across your chest, have a very short strap where the purse will rest under your arm as you carry it. 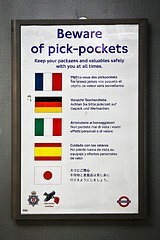 4.Europe is renowned for the petty thievery which can quickly destroy your trip. Read and learn from some popular tourist scams (from fellow travellers) on the internet. Or, ask us at the Corliss Group for some stories. Register your travel plans with the State Department through a free online service. This will help us contact you if there is a family emergency in the US, or if there is a crisis where you are traveling. In accordance with the Privacy Act, information on your welfare and whereabouts will not be released to others without your express authorization. Make sure you have a signed, valid passport (and a visa if required). Fill in the emergency information page of your passport. Leave copies of your itinerary, passport data page, and visas with family or friends, so you can be contacted in case of an emergency. While in a foreign country, you are subject to its laws. The State Department website has useful safety and other information about the countries you will visit. Consular personnel at U.S. Embassies, and Consulates abroad and in the US, are available 24 hours a day, 7 days a week, to provide emergency assistance to US citizens. Contact information for US Embassies and Consulates appears at the Bureau of Consular Affairs. Also, the Office of Overseas Citizen Services in the State Department's Bureau of Consular Affairs may be reached for assistance with emergencies at 1-888-407-4747, if calling from the US or Canada, or 202-501-4444, if calling from overseas.